CESAR is a unique equipment security and registration scheme designed to reduce equipment theft, help the police and insurance companies’ recover stolen equipment, and prosecute offenders. Equipment theft is a huge problem across Europe. The European Rental Association (ERA) estimates that the value of stolen equipment, in the EU is now in excess of €600 million p.a. Industry estimates put the total cost of equipment theft, including lost time, administration, and higher insurance premiums at close to €2 billion p.a. and the problem is getting worse with professional and opportunistic thieves targeting construction equipment. Launched in 2007 CESAR is now the most successful scheme of its type anywhere in the world with over 75,000 machines registered on the scheme. 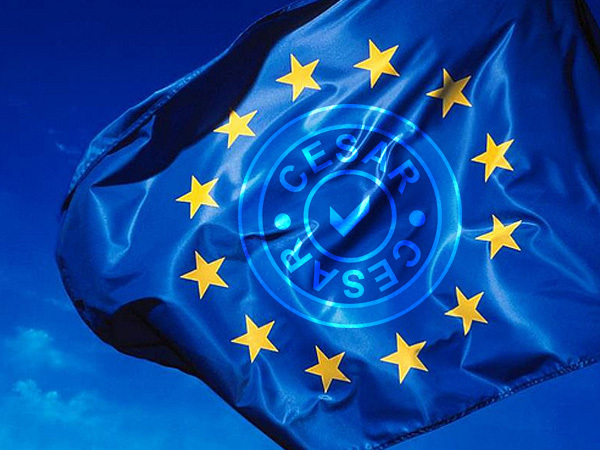 The British Home Office, the UK police, INTERPOL, EUROPOL, the ERA, and the insurance and equipment finance industries fully support CESAR. Major equipment manufacturers that fit CESAR as standard, on machines for the UK market, include Manitou, John Deere, JCB, New Holland, CAT (through dealer Finning), Doosan, Kubota, Valtra, and Gehl. CESAR protects construction, agricultural, and industrial equipment from the smallest hand guided compaction plate up to a 30 tonne excavator. CESAR has now gained full support in the Netherlands with acceptance by the AVc foundation and the Dutch police after a very successful pilot programme was completed in 2011. Datatag NL, the Dutch arm of Datatag ID Ltd, will officially launch CESAR in Holland in July 2012. CESAR works as a powerful deterrent against theft and an invaluable aid in recovery. CESAR security marking gives each machine a unique ‘fingerprint’ using an array of high technology security marking devices including tamper evident triangular registrations plates (with a unique registration number for each machine) Radio-frequency identification (RFID) transponders, forensic liquid DNA, and microscopic Datadots®. Professional and opportunistic thieves know that the highly visible triangular registration plate makes a machine ‘too hot to handle’. CESAR registered machines are 4 times less likely to be stolen than unregistered machines! 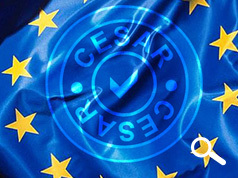 If a CESAR registered machine is stolen, once the police and CESAR are notified, the machine details are circulated to approximately 188 countries through EUROPOL and INTERPOL. The recovery rate for stolen CESAR registered machines is over 32%, 6 times more than the average recovery rate before the introduction of the scheme. Datatag, the technology and service provider, is the only commercial company that provide such a service. Equipment finance companies and leading insurers know that CESAR is a proven deterrent against theft, which is why they support the adoption of the scheme. Many leading insurance companies give insurance premium discounts of up to 20% for CESAR registered machines, a significant customer benefit.